Meghan Markle's wedding dress wasn't the only bespoke creation under the roof of St George's Chapel in Windsor earlier today. 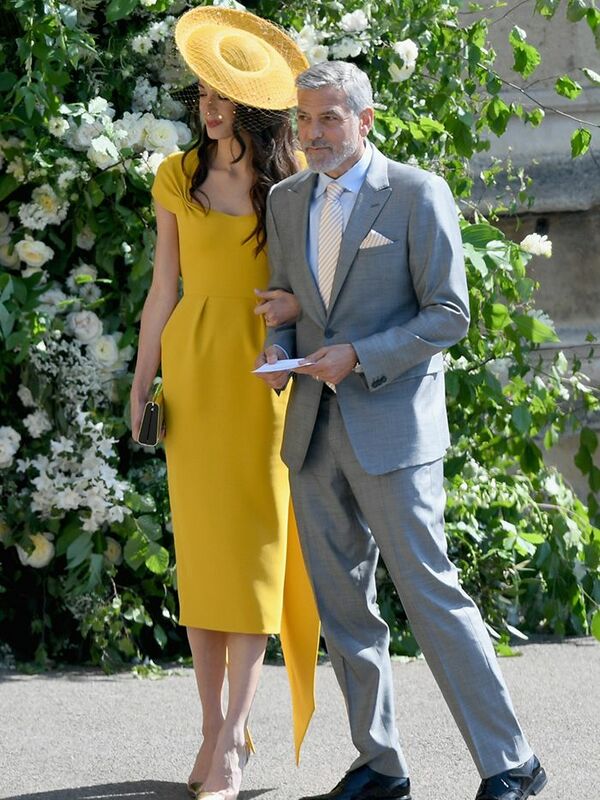 For example, Amal Clooney wore what has to be the best guest outfit of all (a stunning marigold number created for her by Stella McCartney), and Meghan's dear friend Priyanka Chopra had a lilac skirt suit crafted by the team at Vivienne Westwood. However, thanks to the varied and vast guest list in place, there were some quality opportunities to see some more wallet-friendly investment options. 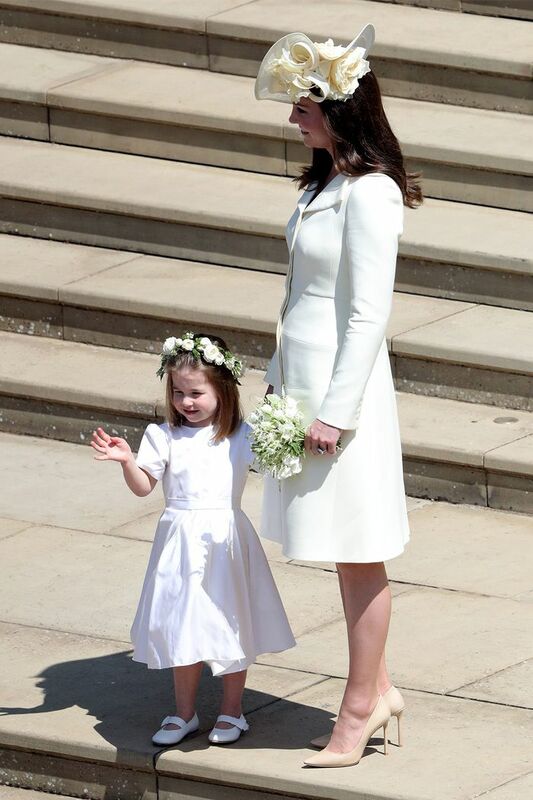 Okay, so you won't see any Topshop below, but you will find some "go-with-everything" heels that are well worth their cost-per-wear (Kate Middleton clearly agrees) and plenty of midi dresses that will see you through the wedding season and so much more. Keep scrolling to see the royal wedding guest outfits you can actually buy. The Duchess of Cambridge knows the best neutral-coloured pumps when she sees them. Pippa Middleton wearing a dress from The Fold. Due to high demand, this style will be despatched between the end of May and mid-June. Abigail Spencer wearing a polka-dot dress from Alessandra Rich. This brand was spotted twice on the big day. Sara Parker Bowles was one of three women who opted for this niche London-based brand. We can't blame her for buying this beauty. Carey Mulligan accessorised her Erdem dress with Jimmy Choo pumps and a William & Son clutch. Cressida Bonas's exact dress is no longer available, but we've found a very close match below. You can have the option of adding cute trims to this. Beatrice's bespoke Roksanda dress is available in blush pink, should you have a few grand to spare. There's no denying it: This dress is spectacular. Actor Gina Torres alerted us to a cool new label to know. How cool and fun is this? Now, see what Victoria Beckham chose as her look for the royal wedding.